“There is no specialty coffee, just specialty coffee farmers.” This is a favorite adage of Alejandro Cadena, a Colombia-based coffee exporter. For the last 18 years, Cadena has served as an essential liaison between small farmers at the point of origin and concurrently emergent third-wave roasters like Stumptown Coffee. The specialty coffee market is loosely defined by geographic microclimates, which produce representative styles and distinctive flavors associated with a particular region. The specialty coffee market was in its nascent stages back when Cadena first started, and his company, Caravela, quickly emerged as a leading importer in the United States. “At that time,” Cadena says, “it was just a handful of coffee geeks trying to move the industry forward.” By any “forward” metric, they were successful. The National Coffee Association (NCA) has been tracking U.S. coffee consumption since 1954. Over the last 18 years—precisely the amount of time Caravela has been in business—the number of daily drinkers has seen the strongest growth. Only 9 percent of adults in the U.S. were drinking specialty coffee on a daily basis in 1999; by 2017, that number was up to 41 percent. But among the top 20 coffee-producing nations, only one, Brazil, is also among the top 20 in consumption. 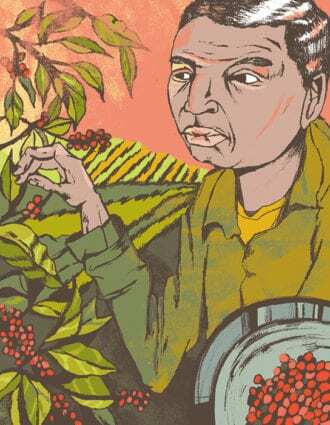 This disconnect means that unlike Alejandro Cadena, it’s hard for the average coffee drinker to imagine the life of the average coffee farmer. 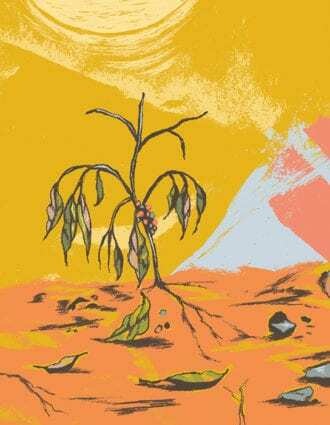 But their economic survival, and in some ways the future of specialty coffee, hinges on these consumers getting a better understanding of where coffee comes from and what the future of their daily cup may look like. Arguably the most significant issue facing coffee’s future is climate change. 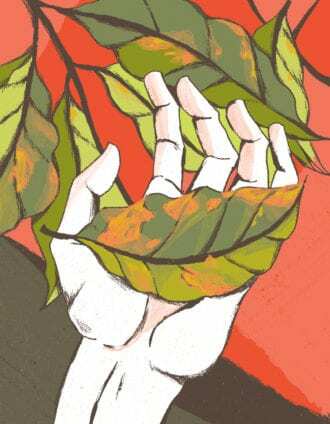 Ric Rhinehart, executive director of the Specialty Coffee Association, says the increased frequency of extreme weather events is taking its toll on the industry. “There’s too much or too little rain, and subtropical regions are seeing unseasonable rain and drought conditions. This has a big impact on coffee,” he says. In September 2014, The Guardian reported that rising temperatures were fueling the growth of a fungal disease called roya, or rust, in the Jinotega hills of Nicaragua’s central highlands and other parts of Central America. This epidemic was first documented in 2012, and losses of up to 80 percent of the harvest were anticipated for the 2013-14 harvest. 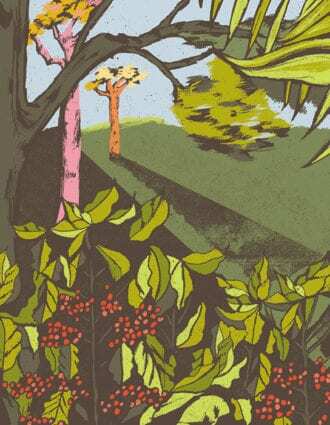 Roya begins on the leaves and eventually eclipses the bright red coffee cherries, leaving in its wake a hollow, lifeless tree. For the coffee industry, the spreading problem was an inflection point. Entire growing regions failed to bear a usable harvest, and millions of workers lost their jobs. In response, the coffee industry sprung into action, and alliances spanning the trade were formed. Even the biggest players in the industry, like Keurig Green Mountain, Farmer Brothers, S&D Coffee and others, worked with a collective aim to develop solutions to offset such dramatic future losses. A leader in this transformation was Dr. Timothy Schilling. Schilling, a career agronomist and researcher, was also a central figure in the restoration of Rwanda’s coffee sector following the genocide in 1994. Schilling was the director of two USAID investment projects that were credited with successfully establishing a premium coffee industry there. Today, Rwanda is a prized origin supplying specialty roasters in the United States and Europe. Schilling’s work there was multifaceted, ranging from technical assistance and training to targeted financial support. According to the SCA, these investments doubled incomes for more than 100,000 coffee producers. Hanna Neuschwander, communications director at World Coffee Research and author of Left Coast Roast, describes the inception. “A few companies agreed to make a go of it. We raised $500,000 straightaway,” she says. “Five years later, we’re now a staff of 15 with a $3 million budget, with our sights set on $10 million over the next five years.” WCR intends to spend this money on research; a lack of coordinated research is in fact the most significant obstacle (and opportunity) in the climate adaptation fight. The coffee sector—all $174 billion of it—has, until the formation of WCR, conducted coffee agricultural research mostly on a nation-by-nation basis, with little to no overall systematic organization. 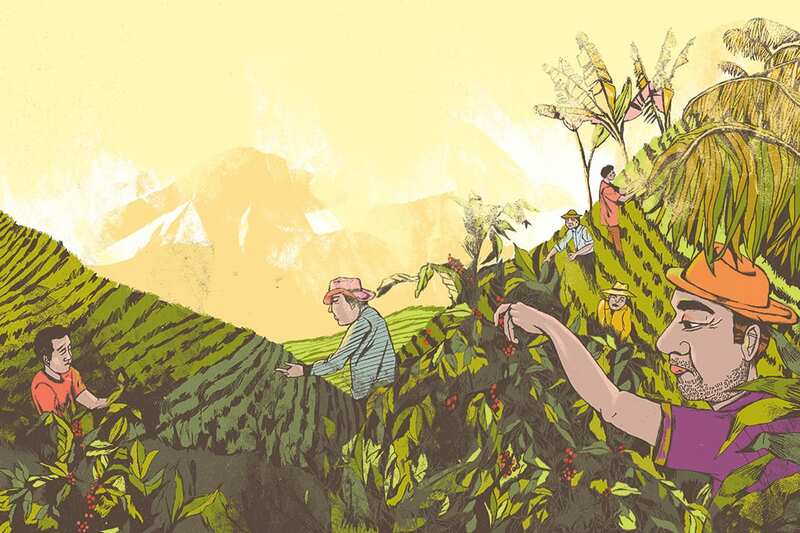 “Coffee research has largely been national, so there are great research programs in Colombia and Kenya, but none of it was shared outside of the country,” says the SCA’s Rhinehart. For example, WCR has a growing program of multilocational variety trials that consist of a core collection of arabica plants representing a substantial range of genetic diversity, along with a number of commercially proven varieties, for on-site development of new hybrids that will bring better positive characteristics to light. For WCR, the overarching ideology echoes Cadena’s mantra, based on the conviction that investment in research is the best way to achieve stability for farm workers. “In coffee, there’s been a spotty tradition of supporting that work compared to other crops, especially if you take into account the global value of coffee,” Neuschwander of the WCR says. As a practical example, if research shows consistently high return on investment of a particular variety or farming technique, a farmer or importer can take that data to a bank for a loan that will enable them to make further improvements on their farm. Though progress may be slow, this is just one way the research is paying off in a tangible way. Farm workers worldwide are aging. This is troubling not just for coffee, but for global food security at large. As it becomes increasingly more difficult to economically survive as a farmer, multigenerational farming families are letting go of the family business. Increasingly, the role of coffee importers and roasters is to help farms be more profitable by paying good money for good coffee. That effort is multifaceted, but the desired outcome is simple: to maintain economic viability in an uncertain climatic and geopolitical environment. Roasters and buyers of green coffee should take their cues from the producers. “No one knows more about what farmers need than the farmers,” says Alexander. Cadena says his company became known as quality-minded exporters by simply paying farmers a good price for quality coffee. “It was easy to find good farmers. We paid them twice the market price,” he says. “When farmers heard that we were paying twice as much, we were swarmed.” Last year alone, Cadena bought coffee from more than 4,500 farmers from around the world. While importers like Caravela work to improve wages and roasters like Stumptown pay good prices for good quality, some coffee-growing regions are simultaneously challenged by pressures of climate change and urbanization. 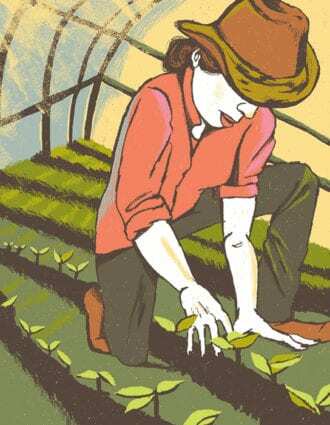 Farming is an inherently difficult way of life, not only for the farm owners, but for the millions of seasonal workers who account for the overwhelming majority of farm labor. Many workers are paid by the pound, so when farm profitability declines, so does their earning potential. Rose says that as demand for specialty coffee continues to rise, so will efforts to raise commercial-grade coffee into specialty-grade, and to create new hybrids that perform well. The current staple varieties of bourbon and typica may never disappear completely, but as it becomes harder to source cultivars that are so prized for their taste, the price for these coffees will be influenced by their rarity. But this is why research and development in coffee at the farm level is critical. The industry is largely in agreement in its backing of WCR’s research agenda. From Keurig to Caravela (who last year committed to donating $65,000 per year for the next three years WCR to support a project aimed at finding the coffee varieties of the future), there are many examples of collaboration among scientists, governments, exporters, roasters and nonprofits, all working to keep the world’s coffee supply productive and resilient. Seeking a remedy, researchers have created new varieties—60 are currently in development—using genetic material collected from the wild. This material has never before been used, and researchers are selecting genetic material best tailored to the needs of the future, from resistance to coffee leaf rust, to producing higher yields under shade (useful in a hotter, drier world), to providing greater profits to farmers or being more tolerant of higher temperatures. “We work together with coffee-producing countries to help them create and select the varieties that are best suited for their local needs,” Neuschwander says. Stephen Satterfield is a publisher, food writer and multimedia producer based in San Francisco. He’s also the founder of Whetstone Magazine, a print publication that explores food origins and culture. Before his career in media, he spent more than a decade as a sommelier and operator at fine restaurants across the United States. Forget the Champagne this season and reach for Cava or Tasmanian sparkling wine instead.